Microservices has already made a lot of noise in the world of Software Engineering. Nevertheless, Microservices architecture is still a dramatically flexible tool with a great number of pros and cons. 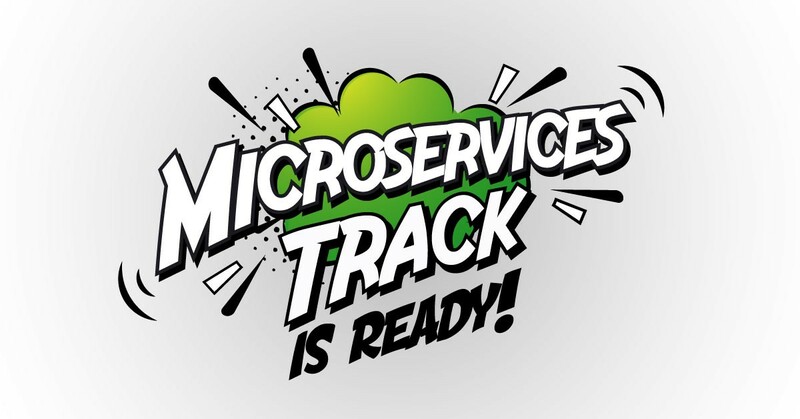 So, we designed Microservices Track. It will give information on all the advantages and disadvantages of microservices, depicts the right and wrong reasons for migration to it, and helps you to be on top of all the latest engineering trends. Axel will explain, when Majestic Modular Monoliths may be a good fit and how it compares to the other approaches. Also, he gives data on how this can be designed and implemented in practice. Istio and Kiali are new open source projects developed in Go that operate in the service mesh ecosystem. Alissa will explain what service mesh is, and why Istio and Kiali are relevant to those who work with microservices and containerized environments. Peter will go through the most popular service mesh patterns and their practical usage using Istio service mesh running on Kubernetes. This presentation gives an overview of different techniques for more securely managing secrets in Kubernetes including secrets encryption, KMS plugins, and tools like HashiCorp Vault. Attendees will learn the tradeoffs of each approach to make better decisions on how to secure their Kubernetes clusters. Michael will share how an edge router can simplify & automate so developers don’t waste time configuring or renewing SSL certs. Also, he will show how to remove the need to update routing configurations by interfacing to backends such as Kubernetes, Docker, and Consul providing dynamic configuration. In this session, Adrian will review the most useful patterns for building resilient software systems and especially show the audience how they can benefit from the patterns. This session illustrates how to implement service-meshed applications using Java EE 8 and MicroProfile. Also a mesh of microservices, managed by Kubernetes and Istio, would be developed. We’ll see why especially the Java Enterprise approach fits the concepts behind container orchestration and service meshes well. All of the time will be spent live-coding while explaining the concepts and solutions. In this talk, Milen will go one abstraction level above and look at the process of composing a Java application from components. But what is more important, he will show how to decompose an application into reusable components. This presentation depicts 7 top reasons for using Event Sourcing & CQRS. These reasons covered go beyond the often referenced benefits, such as event stores are natural audit logs, or offering the ability to go back in history to replay past events. Check out the whole program here. By the way, the regular ticket (299 euro for 2 full conference days) expires on 26.04. So it’s a good opportunity to catch it now! Hurry up to click the link.